Anyway, parents today continue to debate it. Should I vaccinate? Should I get just some vaccines? If so, which ones and when? So how are you supposed to separate fact from fiction? What’s the real science say? Let’s take a look at some “facts” that are commonly passed around, and how true they are (or not). It’s not my goal to come across as 100% “anti-vaccine,” although for my own family, I am. Frankly, I’m tired of the manipulation and fearmongering. My goal here is to stick to the facts and provide a balanced point of view. All my sources will be cited, so don’t feel like you need to take my word for it — do click through and read them for yourself. I’ll be addressing things the mainstream often brings up, point by point, so that you have an easy way of evaluating what’s true and what isn’t…and why. This will make it easier to combat the fear, and make a fact-based decision. If, at the end, you still have questions, you can check my Vaccine Posts page to see if the answers are there, or just leave me a comment and ask. It’s worth noting I’m not a doctor or medical professional and I’m not telling you what to do. I’m just a concerned parent, doing my research — as everyone should. #1: These diseases are super deadly; get vaccinated or die! This is kind of a horrible lie, because it leaves parents guessing what “deadly” really means. Are the diseases “deadly” in the sense that they can kill you? Yes, they are. Are they deadly in the sense that they’re likely to kill you? No, they’re not. What about mumps? The CDC calls death from mumps “exceedingly rare.” (source) Up to 10% of adolescent or adult men will get orchitis ( swelling of the testes), but sterility is extremely rare. Fewer than 1% of women will experience swelling of breasts or ovaries. Other serious complications also occur at less than 1%. No deaths have occurred from mumps in many years. Mumps is generally so mild that it isn’t even a reportable illness. How about chicken pox? Well, from this study, “…varicella was considered a benign disease…” and “Although serious clinical consequences from primary VZV infection were relatively uncommon, the societal cost, such as days of lost work, attributable to varicella were estimated to be over $1.5 billion annually, providing much of the rationale for universal varicella vaccination.” In other words, complications and deaths from chicken pox were quite rare, but the ‘lost productivity’ led them to create the vaccine anyway. The death rate was about 1 in 40,000 pre-vaccine, and most of those were adults or children who are immunocompromised. Then there’s flu. First, please read the CDC’s definition of “flu deaths” and how they calculate the numbers. Note that they include any death where flu may have play any role, and not where flu was the primary cause. This means if someone is already extremely sick, and then they get the flu and die, it would be labeled a “flu death.” Also, note how inaccurate their numbers really are. All of this confounds our understanding of how “deadly” the flu really is. It’s important to note that these numbers are from the pre-vaccine era, so it’s not that we’re seeing vaccines as a “victim of their own success.” These are the real death rates we’d see if we stopped vaccinating — although possibly less since medical science has advanced since the early to mid 1900s. In other words…none of these diseases are really all that deadly. This is rather silly…. Children are only contagious if they have run across a disease. They are not born carrying all the diseases. Most people are concerned because some diseases are contagious even if you are not symptomatic (or not yet), and they are worried that an unvaccinated child could be sick or getting sick. Unfortunately, sharing illnesses in this manner is a fact of life, and can happen to anyone, vaccinated or not. See point #4 that explains that “antivaxxers aren’t bringing the diseases back,” and point #1 for why these disease aren’t that serious anyway. Please also note: contrary to popular belief, measles is not contagious until a person displays symptoms. From the CDC: “Measles virus is shed from the nasopharynx beginning with the prodrome until 3–4 days after rash onset.” ‘Prodrome’ means when symptoms like fever, cough, and weakness begin, but before the rash starts. If you have flu-like symptoms, stay home, and you will not spread anything! It sounds great! We should protect those who cannot protect themselves! And, I agree…we should protect them, by staying home when we’re sick. That would go a long way. It’s also worth noting that when it comes to herd immunity, the theory is that the entire population has to be covered at high rates. In 2014, most adults had coverage rates of 9 – 45%. (source) The adult population doesn’t and never has had “herd immunity” level coverage. Essentially, it’s a nice theory, but there’s no evidence that we’ve ever had anything approaching “herd immunity” coverage rates in the general population, or that fluctuating vaccination rates have anything to do with disease rates. Not really. If you take a look at this graph, pertussis cases have been on the rise since 1990, when they switched to using an acellular vaccine instead of whole-cell pertussis. It just isn’t as effective — but the whole-cell version was causing too many negative reactions. Besides, according to this study, vaccine refusal has nothing to do with pertussis cases. In 2000, 94% of 2-year-olds had 3 DTaP shots. (source) In 2005, it’s 95%. (source) In 2010, it’s 94%. (source) In 2014, the most recent year available, it’s 94%. (source) So…there’s no appreciable difference in vaccination rates, which means there’s no association between lower vaccination rates (not happening) and increasing cases of pertussis. When we look at the MMR, we find a similar pattern. In 2000, 89% of 2-year-olds had an MMR (source), in 2005 it’s 90% (source), in 2010 it’s 89% (source), and in 2014 it’s 89% (source). Again, no appreciable difference in vaccination rates. So if measles was “eliminated” in 2000 and is making a resurgence now, it’s not because of a change in vaccination rates. Just for fun, I looked at the vaccination coverage rates from 1995, when many of us were kids. MMR in 2-year-olds was 87%, and 3 DTaPs was 92%. (source) Both were lower than today’s kids…so no. “Anti-vaxxers” are not bringing diseases back. What steady vaccine coverage rates, and increasing disease rates actually points to is vaccine failure. Researchers already know that the MMR coverage isn’t lasting, and have suggested adding a third at college age. If something doesn’t work…why would we want to use it more? For example, recent mumps outbreaks on college campuses have been nearly 100% fully vaccinated students. (In this study, 98%.) In fact, several students who received a third MMR still got mumps. This has nothing at all to do with “anti-vaxxers.” And pointing the finger is an attempt to take attention away from the failure of the vaccine program. According to the data shared in the previous points, vaccines do seem to temporarily reduce rates of infection in some populations. But, the effect doesn’t last (in an individual or at a population level) and, despite high levels of vaccine coverage, vaccines begin to fail and diseases come back. A 1991 study theorized that protection from measles might last about 15 years (this was a fairly small study). It also noted that a second dose didn’t create additional immunity — which is why adding a third is ridiculous. In the 60s and 70s, a single dose was assumed to be life long! We now know it may not even last the 15 years. Additionally, in a 2013 study, it was discovered that maternal antibodies passed to babies lasted about half as long if the mothers had been vaccinated, vs. having had wild disease. This places babies at increased risk when they’re most vulnerable to infection. Essentially, vaccine-induced immunity is inferior and, in the long run, doesn’t really work. This is my favorite story! It’s like a giant game of telephone; it’s been passed around so many times that most don’t even know the truth. “That doctor” is Dr. Andrew Wakefield, a gastroenterologist who lived in England. He now lives in the US. He did lose his medical license, but is not and has never been to jail. Many of the allegations against him are and were false. You can read more about him HERE. The original paper in question was about the diagnosis of colitis in children with autism — not about vaccines. It was parents who reported they thought there was an association between the MMR and their children’s health issues. Dr. Wakefield concluded that there may be a link, but that further research was needed to understand it. He recommended splitting the vaccine into three separate ones and giving them a year apart, instead of using the combo shot, until the matter could be resolved. He did not recommend against using vaccines. So, in the last 20 years, has the vaccine-autism connection been thoroughly studied? This 2015 study looks only at receiving or not receiving the MMR vaccine — but not at any other vaccine. Children could be fully vaccinated except for the MMR. This 2001 study looks at only the MMR, and doesn’t even publish results — only says “we’re going to study this.” This study looks at only the MMR again. A survey-based study (not robust) concluded there was no association between health outcomes and vaccination status. Other surveys have found differently. A 2011 study says that there is a relationship between vaccines and autism. A 2009 study concludes that “overuse of vaccines” causes autism. A 2013 study says that vaccines may trigger an underlying mitochondrial dysfunction and lead to autism. A 2013 study implicates thimerosal in autism. Another 2013 study implicates thimerosal in autism. A 2001 study shows a link. A 2002 study shows an “inappropriate response” to MMR may cause autism. A 2003 study shows a mercury/autism risk. A 2007 study that shows mercury toxicity manifesting as regressive autism. A 2007 study shows that prenatal mercury exposure may cause autism. A 2010 study shows a risk between Hep B vaccine and autism. A 2011 study implicates Hib vaccine in possibly causing autism. A 2011 study shows that aluminum in vaccines may cause autism. A 2014 meta-analysis concludes overwhelming data shows thimerosal is unsafe. Basically…it hasn’t been thoroughly studied. We have a lot of questions still to ask. We need a comprehensive study of vaccinated vs. unvaccinated on total health outcomes in a developed country. (All we have are tiny studies from third-world countries or survey-based studies in developed countries.) There’s certainly enough data to warrant caution and further study! This is missing the point; no one is concerned about the number of antigens. In fact, they’re a lot lower today than they used to. Previous versions of vaccines are no longer used because the antigen load was high enough to cause the disease it was supposed to prevent, in some cases. However, aluminum is very concerning. Ingestion is not the same as injection. A 2016 study suggests more safety tests are needed. A 2009 study points to aluminum causing brain damage. A 2015 study shows that injected aluminum persists in the brain. Further, a 1999 study suggests a causal relationship between gelatin-containing vaccines and the development of gelatin allergy. While we’re not concerned with all the ingredients in the vaccines, there are some seriously concerning ones. We shouldn’t avoid or dismiss these concerns so quickly. Sorry, but vaccines aren’t designed to work that way. They’re only designed to help prevent the person from becoming sick with specific illnesses. They aren’t overall immune boosters, and they can’t prevent diseases other than the one(s) they were designed to prevent. I hope you’ll take the time to read through all the sources I linked and continue researching until all your questions have been answered. This is an incredibly important decision, so don’t take it lightly! Thank you for your research and sources sited! Best article ever…with PLENTY of resources for those in denial who prefer to fight with their peers than fight WITH us for our medical rights and to protect the rights of ourselves and our children.. All I see them doing is barking “Resource please? ?” and not in a real attempt to have their eyes opened but to feel good about doing what they’re being told to do. It is so exhausting. I had to vaccinate my son once..I fought all the way up until he was 4.5 and then due to pressure from his school (he had nose bleeds and was biting others when they fought) and his Dad as well as the fact we’re relocating to CA, I said..I guess we don’t have a choice..and gave him a round. I then took him to our Natural Doc (who was previously a specialized MD) and had his entire body scanned. His immune system was on fire (obviously) but what was upsetting to me was to see his brain and kidneys were flared up. The aluminum did detox itself from his body but I’ve never seen so many red lights in his kidneys/brain. He acted out more the week following vaccines. I don’t have a true horror story but most of this would go unnoticed by parents as they don’t have their child comprehensively scanned after their first round of shots. I feel extreme guilt as I swore I’d never cave as a mother and my babies would be vaccine free..but felt my hands tied being in a state that basically forces them. I am seeking out another MD to run titers/genetic testing on him and provide him with a medical exemption, at the VERY least, until 7th grade based off of proven immunity. That or I’m homeschooling..I tried to calm my fears and said..OK..he’s older now and has a more mature system.. He may have detoxed OK..but just seeing his kidneys and brain flared up on the screen was alarming. I cannot imagine what this is doing to babies…so young and with less mature systems. It is a depressing day and age to live in. The only hope I hold onto is the growing number of people fighting back and spreading awareness. Because the vaccine industry has, unfortunately, become so corrupt, this simply cannot be a legal mandate until they’re actually held accountable and create something that doesn’t destroy human beings on the inside. 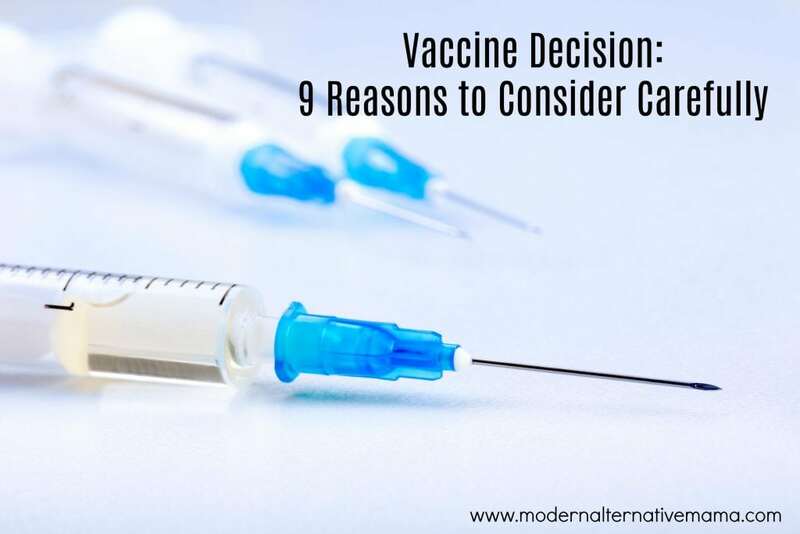 While maybe only 1 out of every 1,000 vaccine reactions are documented, from talking to others and from what I’ve seen, I can bet it’s more like 1 out of every 10-20…but just many of these issues don’t manifest themselves until the later years of life. I still feel extreme guilt vaccinating my child after fighting so hard for him up until 4.5 — Luckily I only gave him one round but it was upsetting to me because I felt forced to…not because I genuinely believed in them or felt they were worth the trade off. I knew the facts, like you, and that these diseases are not as scary as people make them out to be. Polio is the only one that was even scary…and the chances of dying from it are SO low..and NO..not because of vaccines but actually because they always were. If they didn’t want so many parents fighting back, they’d listen to us and provide a safer alternative…how about the sugar cube vaccines that are ingested orally? (much safer) and no laws forcing them on others? Seriously..if they work..let those who want to take them take them..it shouldn’t matter if others don’t because they’re supposed to work. I am a science major and no matter how many times I try to dice it, the herd immunity debate is STUPID. Pure stupidity. Herd immunity was also originally coined when NATURAL IMMUNITY was being discussed–not vaccines! Wow, just wow. Thank you Katie! I’ve been on this research journey for 5 years and love how you summarized every point so perfectly and provided the evidence advice as well. I will be sharing this for sure!! Thanks Katie – great breakdown. Something that I find hilarious is the argument about there being more aluminum in breast milk than in vaccines. This rationale implies that the aluminum is breastmilk is not a big concern and/or is naturally occurring. In fact, the aluminum that we are regularly exposed to (from vaccines and other sources) and is being expressed in breast milk should be a big deal on its own and is very concerning. That’s like saying we shouldn’t be concerned about moving to a toxic waste dump because all of our homes have toxic waste – doesn’t mean it’s not bad in both situations. Thank you so much for the concise and informational article on vaccines. I’ve been wanting to find an article with sources and reasoning behind it! This was perfect. I needed it. I have wrestled with the vaccine debate with or children. I am blessed to have a conservative doctor. We have vaccinated the older children on a modified schedule but decided with our last little one to not vaccinate at all. Of course it’s so hard when family doesn’t understand your mindset. Especially if they work in the medical field! But your article helps the pace of mins. Thank you. PS- I tried joining the FB group and answered all questions! I haven’t seen a response! Thanks! We have so many requests to join the group that it takes our admins awhile to get through them all. When regarding Pertussis, your source is not regarding children that were unvaccinated. As of 2016, only 7 deaths were reported because 95% of children received 3 doses of DTaP. If you look at deaths due to pertussis worldwide, including countries that do not have access to vaccinations and healthcare, you will notice that pertussis caused 160,700 deaths in children younger than 5 years in 2014 worldwide. (you can check the CDC website for this information). As for your polio source, the first sentence of the peer reviewed article is “Sustained and coordinated vaccination efforts have brought polio eradication within reach”. Maybe nobody is dying from polio because we have a vaccine for it. If you are going to do “research” on vaccinations, please be responsible and read the articles completely. It is inappropriate to cite sources where you only comment on things that seem to be in your favor. Without vaccinations, we would not have eradicated several diseases that we have today. Unfortunately, Amber, you’ve made some very common mistakes that pro-vaxxers often make. You’re looking at world-wide numbers instead of US numbers. There are massive differences in measles in developed countries vs. developing countries. Measles can kill up to 1 in 4 in developing countries…but it’s 1 in 1000 (or fewer) in the US and Europe. Bringing the worldwide numbers into this discussion is comparing apples to oranges. In your second point, you neglect to mention that the majority of pertussis cases are in people who were FULLY VACCINATED, so the vaccine is failing. Being vaccinated doesn’t exactly matter if you get sick anyway. In your third point, you neglect to realize that the polio death numbers were PRE-VACCINE, so no, the vaccine is NOT why people aren’t dying of polio…. We also have only “eradicated” a single disease — smallpox. And vaccines weren’t responsible for it. Vaccines have not eradicated a single disease. Thank you so very much for all your research and sharing! It is a very important subject and should be considered, studied, researched and prayed over. Our children are very precious! I applaud you for doing the right comparisons. We do have to check the sources and the variables. We do need to be aware of scare tactics and company sponsored studies. had the chicken pox, mumps and measles as children. (btw,my younger did not receive any vaccines.) Thank you again!! Modern alternative Mama, Pinterest has deleted my entire board called Truth! 635 pins on vaccines, they sited this exact post as the reason for doing so. Saying I violated their policies ! I am livid!! I love all of your points and sources cited! You ROCK! So glad so many more people are deciding it’s time to wake the hell up! Do your flipping homework and quit injecting our kids with poison! Obviously nobody chooses to be on the opposing side of this debate because it’s tiring being ridiculed and bashed for seeking the answers and education we all are entitled too…. but yet here we are… we MUST stand our ground and be our children’s advocates/voices because the CDC and modern healthcare sure won’t! Protect the children! !